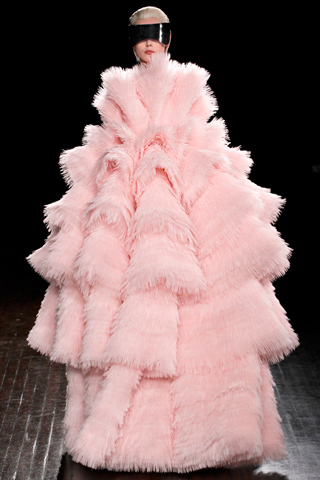 Simone Rocha can cut according to Style.com, and she certainly can! Since growing up in Dublin, Ireland, raised by her esteemed fashion designer father John Rocha, it was no surprise that Simone would make the fashion headlines with her younger approach to fashion and luxurious choice of fabrics. This girl is definitely one to watch. 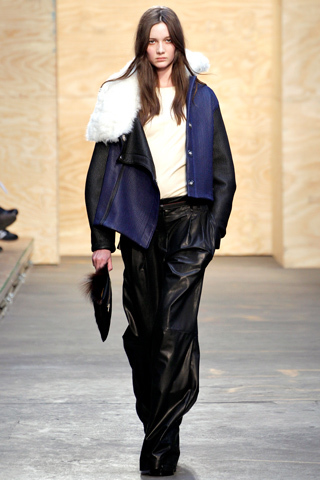 After just two years graduating from Central St. Martins, Rocha is already on the London Fashion Week schedule. With J.W Anderson, Edun and now Simone, it seems the Irish might just take over the fashion world. Here we go! Every single Editor-in-Chief of Vogue in the world. From Korea to America and beyond, all have gathered to show their support for Japan’s Fashions Night Out after their disastrous earthquake earlier this year. (Click on photo for enlargement). The NEW look. Get ready for simple make-up and hair, it’s time to focus on the clothes. Leave no distraction. 1940’s – The sunglasses might look 60’s, but the silhouette screams 40’s. 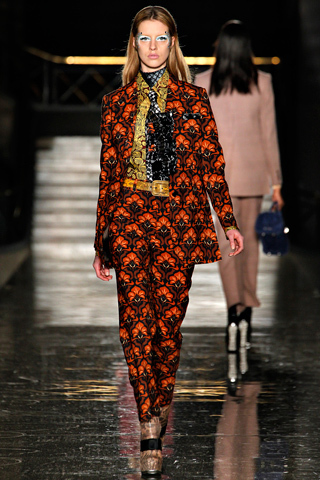 1960’s – Burberry’s fall show gave the essence of 60’s London. 1970’s – Three words, fur, fur, fur. Ladylike Shapes – Cinched waists and accentuated hips. Ladylike is back! 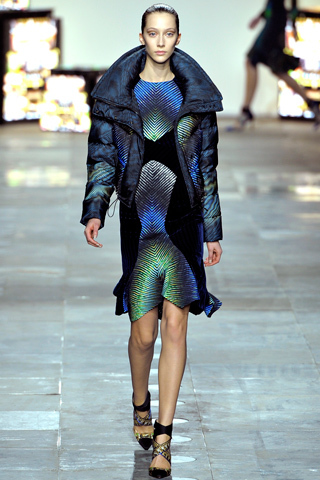 Peplum – Jil Sander mastered it last season, now every designer has joined in. Masculine vs Feminine – Menswear with a feminine touch. ‘Guys and Dolls’ has hit the runways! 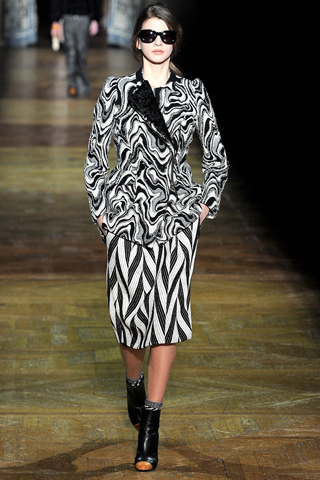 Mixing Prints – Go crazy and make it your own. Faux Fur – The best way to go this season, and it’s cheaper! Polka Dots – They are everywhere. You cannot go through the season without them. 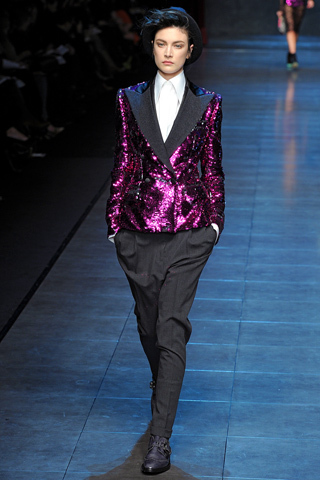 Sequins – Brighten up your wardrobe with this seasons bold and defined sequins. Cerise – A bright color for those dull days. 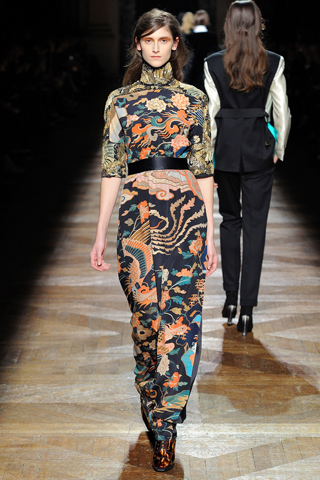 Kimono – Forget your coat. It’s all about the Kimono. Emerald – Deep and rich, perfect for everyday wear. Patent – Want to stand out from the crowd? Absolutely anything patent will do that for you. 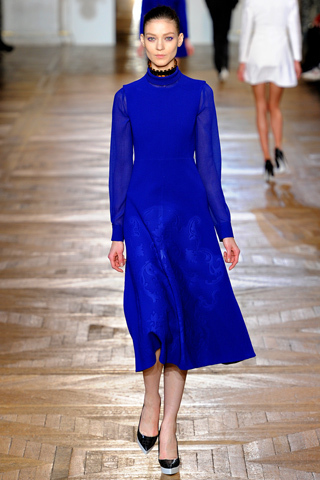 Bold Blue – Anything and everything will have a variation in blue next season. Python – Dress up from head to toe! 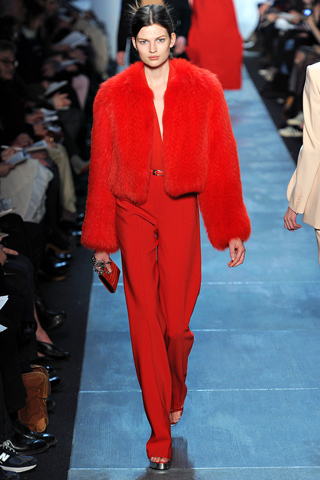 Red – Every show had it, and so will every wardrobe. Wide Brimmed Hats – Perfect accessory for a bad hair day! White – If you don’t stain it, it’s with you for life. 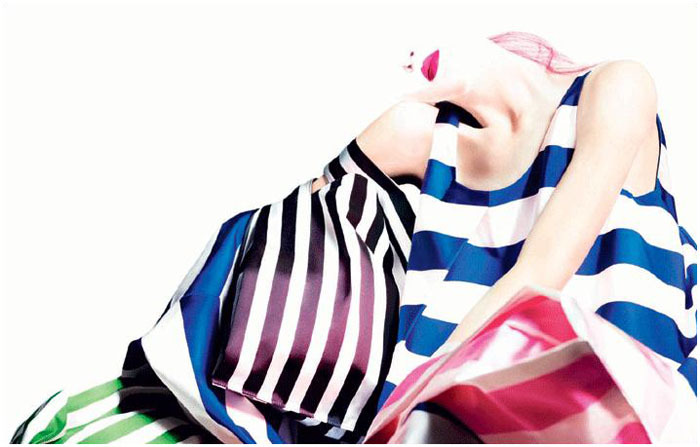 It’s time for colour to hit the streets again as Spring/Summer 2011’s biggest trend. 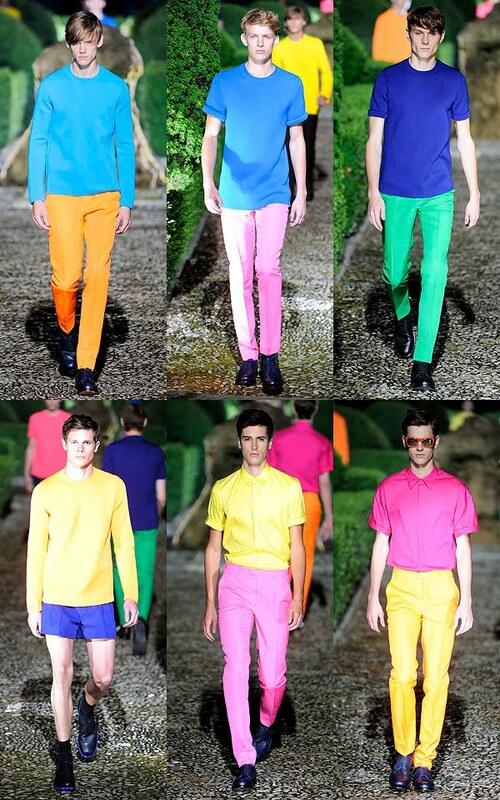 From pink and yellow to blue and green, this trend is bound to get you into the summer feeling. 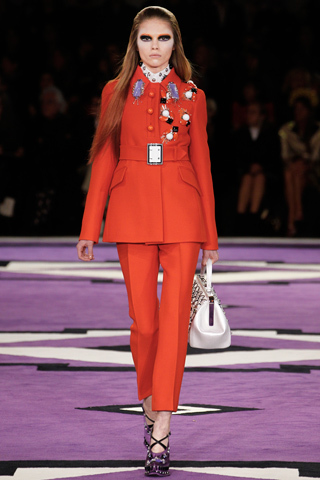 Prada dipped into the trend by adding colour to boxy shapes and stripes creating a multicolour affect while Gucci went for a cleaner colour-blocking look inspired by the 1970’s. 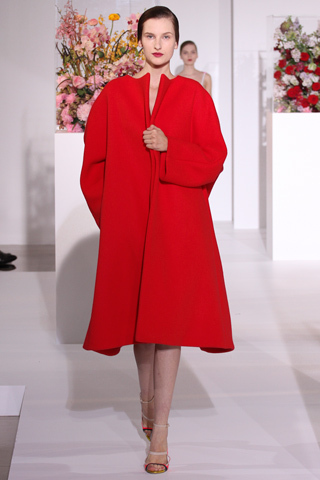 At Jil Sander, Raf Simon’s take on the trend was through prints of roses overlapping each other. There is plenty of choice for this trend that anyone can splurge into so do not be afraid. For Men, look at Prada (boxy shapes again), Balenciaga for a monochrome look with pops of yellow, Tommy Hilfiger for a suit in any colour of the rainbow and Jil Sander again grabbing you deep into a kalediscope of vibrant colours. 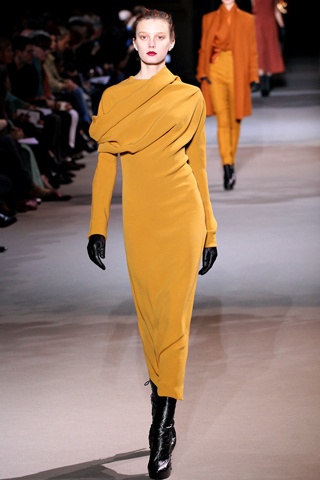 If you absolutely hate colour and wish never to be seen in anything light and bright then try Bottega Venetta. 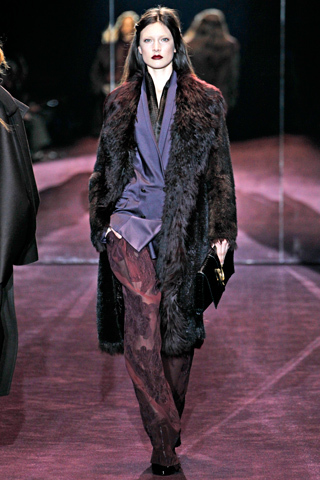 Here Tomas Maier decided to be daring and disagree with this seasons biggest trend starting his show with….black. If you feel adventurous enough to continue to spread this trend, then I wish you a wonderful, cool and colourful season.